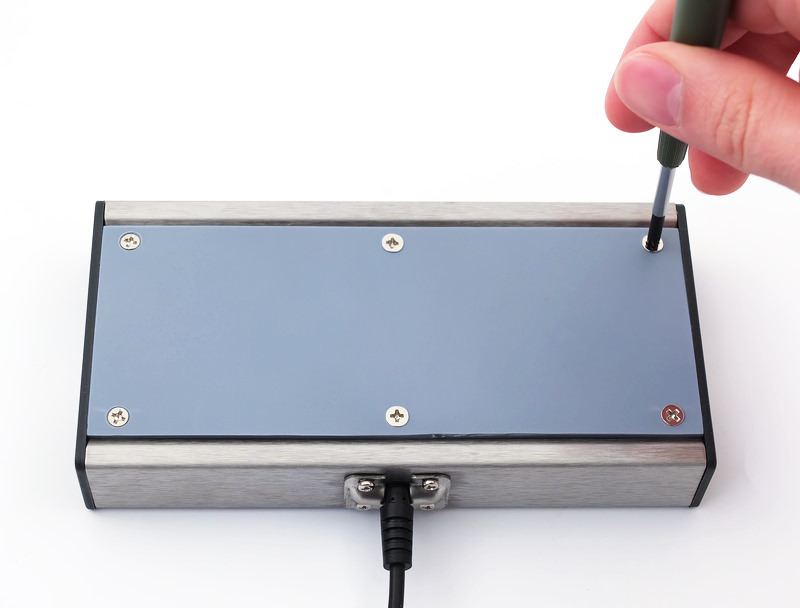 RS-232 is still the most popular interface for balances and scales. It is often described as “simple”, however, when things don’t work as expected, finding the cause can be difficult. This article does not aim to be a comprehensive RS-232 troubleshooting guide (for this purpose, please refer to this PDF document from Agilent Technologies or the troubleshooting section on our 232key website). Instead, it is supposed to raise awareness of an issue that is often ignored: counterfeit ICs. When you’ve tried everything and still can’t reliably communicate with your scale via RS-232, there’s a chance a fake chip may be the cause. Just a few weeks ago, the thought of encountering counterfeit ICs in digital scales had not crossed my mind. Thanks to FTDI’s recent attempt to “brick” counterfeits via Windows Update, fake chips are now a hot topic on the web. While I don’t agree with the way FTDI tried to punish the end user, I wish the controversy had occurred a few weeks earlier. This would have saved me a lot of time. Back then I was doing the final QC for several scales which were about to be shipped to a customer. The last item on my checklist was “bidirectional communication using RS-232”, something I had done many times before with this exact model. What should have taken a few minutes ended up taking me several days and nearly drove me crazy because the problems I encountered were difficult to replicate. 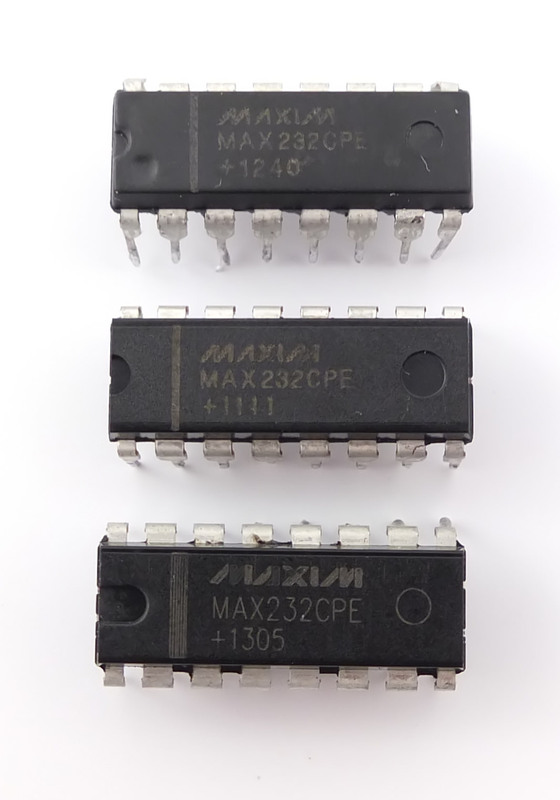 Eventually, I arrived at the conclusion that something was very wrong with the MAX232CPE+ chips, which are responsible for converting TTL signals to RS-232 levels. After doing some research on the internet*, I started to suspect those chips were counterfeit. 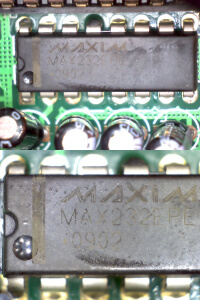 It seemed like a far-fetched idea** at the time, but I still desoldered them, took a few pictures and sent them to Maxim Integrated. Now extremely suspicious of all MAX232s***, I disassembled a few more scales from 4 different suppliers. 3 contained ICs belonging to the MAX232 family, so I sent the pictures to Maxim Integrated, too. In addition to the chips used by the scale manufacturer which had prompted me to start this investigation, one chip used by another manufacturer was also flagged as counterfeit. To be fair, my sample size is too small to draw meaningful conclusions regarding the entire weighing industry. However, if you’re in the business of making weighing instruments and were blissfully unaware of this issue, I hope this article serves as a wake-up call. * I found documents like this one (16 MB PDF presentation by SMT Corporation) or this one (100 KB PDF, University of Conneticut), this article by Maxim Integrated and even videos of YouTubers walking through huge electronic component malls in Shenzhen where almost everything is counterfeit. ** Though not quite as far-fetched as the manufacturer’s idea that “static build up from the polystyrene packaging in road transportation” was to blame. *** And also seriously angry at having wasted so much time doing something the manufacturer should have done. I won’t do any naming and shaming here, though. Update October 3, 2017: Several articles concerning this issue have appeared since I originally wrote this blog post. 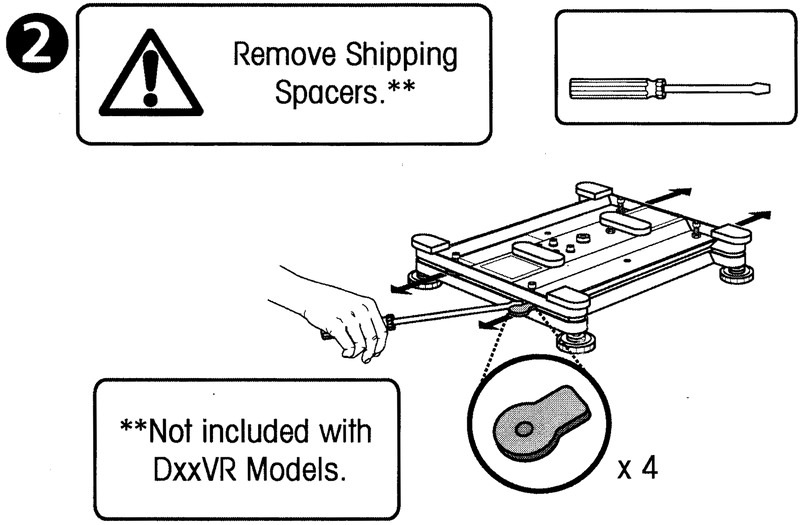 If your new Ohaus Defender shows “Err 8.2”, you have probably not yet removed the shipping spacers. These protect your scale from damage during transport, but have to be taken out before use. 3. Place the stainless steel pan on the platform. Your scale is ready to weigh. 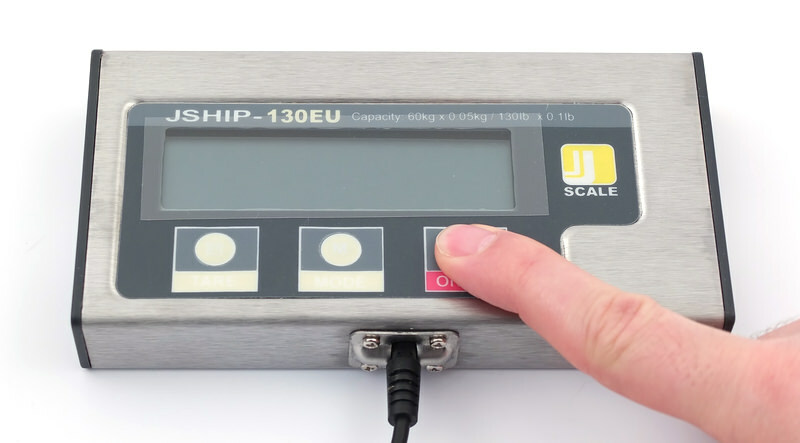 You should feel and hear a distinct “click” when pressing the buttons of your JShip parcel scale. If that’s not the case or if you have to use excessive force, please do not try to use a sharp object as this might puncture the overlay. 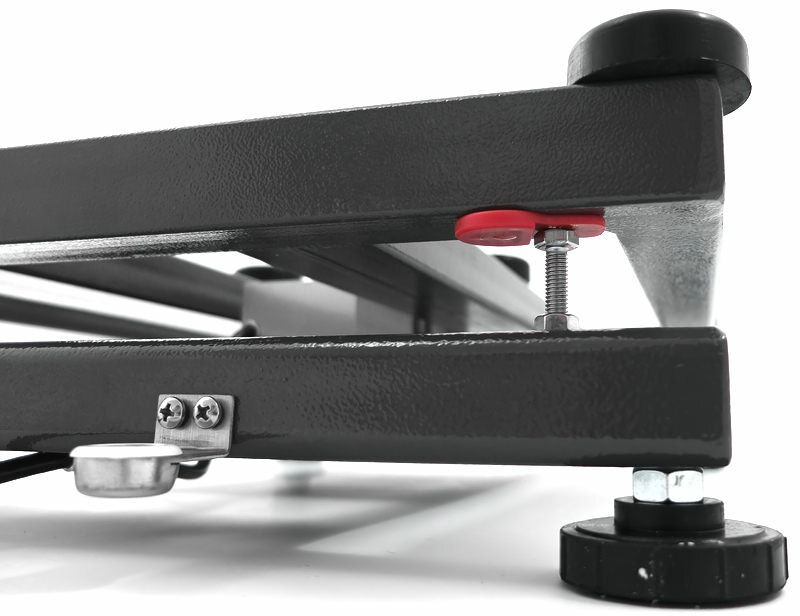 Instead, return your scale for repair or try repairing it yourself as described below. We found that – in many cases – the buttons themselves are working fine and all you have to do is tighten the screws holding the PCB inside the indicator. Please note that these are not official instructions and we do not accept any responsibility if things go wrong. 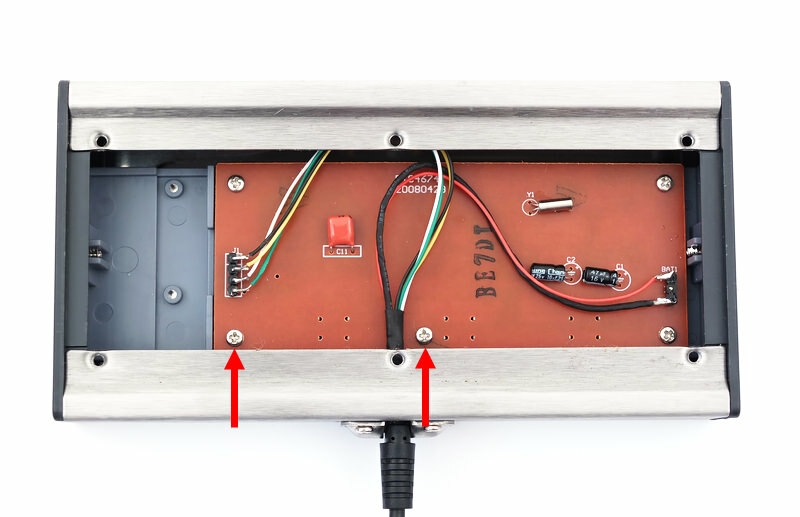 Remove all six screws on the back of the indicator. Note how they’re tightened very lightly. Remove plastic cover. There are 5 screws holding the PCB in place. Use a PH1 or PH2 screwdriver to tighten them as much as possible without over-tightening. If all screws are already firmly tightened, try carefully turning just the two screws marked below clockwise by no more than 1/8 of a turn. Press the buttons to see if the problem has been resolved. Put the plastic cover back in place and very lightly tighten the six screws. If you turn them too far, the rather brittle cover might break.